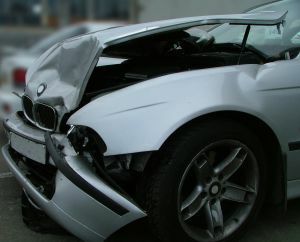 Our Boston car accident lawyers regularly handle cases involving hit-and-run drivers and know that these situations often require the assistance of a crash investigator. According to a recent article in the Boston Globe, a man from Chelsea is alleged to have made an improper lane change while speeding on the lower level of the Tobin Bridge. The Massachusetts State Police reported the driver caused a three-car accident on the bridge and then fled the scene on foot, leaving a female passenger in his own vehicle. The two other cars involved in the accident contained a total of two children and five adults who were taken to Massachusetts General Hospital for their injures. While the at-fault driver did not stay on the scene, the police were easily able to obtain his identification from his passenger and vehicle and have issued a summons to court to address charges related this hit-and-run accident. While it is not clear why the man allegedly fled the scene, it is not uncommon for people to cause an accident and then leave the scene. Sometimes it is out of fear, and sometimes the driver may have a criminal record, open warrants, or immigration issues. On some occasions, the driver is drunk and believes that if he or she leaves the scene, even though police will eventually catch them, they may not be able prove the driver was intoxicated. Causing a fatal car accident while sober can lead to substantial liability in a car accident lawsuit, but causing a fatal car accident while intoxicated can lead to prison for vehicular homicide. In any hit-and-run case, the victims should try to get as much information as possible from the scene. They should get the name and contact information of any witnesses to the accident. This is very important, because witnesses may be an essential part of your car accident attorney’s trial strategy. If they leave the scene without giving their contact information, it will be an extremely difficult task for your lawyer’s accident investigator to find them for trial, unless they live or work right near the scene. Victims should also make sure that the police are called and take an accident report. While this is going to happen automatically when there is a three-car pile up on the Tobin Bridge, an accident on a Boston side street or back alley will require a call to the police. As your accident attorney can explain to you, the more information you can provide, the better your chances are of getting an appropriate recovery. This can include any photographs you can safely take at the scene of the accident, the vehicle crash report, contact information of witnesses, weather conditions at the time of the accident, and a variety of other useful information. Once you have gathered this information, you should get it to your attorney as soon as possible.